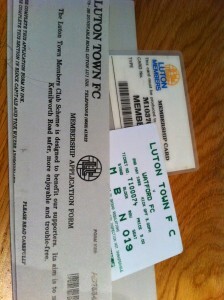 Yes, this photo is sideways – but it’s a Luton membership card so we didn’t think it was worth changing that! Many Watford fans have to sacrifice a lot in their lives to follow the glory hornets week in and week out. You may miss special events to travel up to Doncaster or not little Johnny a birthday present because you want the latest shirt. It was from the years when away fans were banned from Kenilworth Road. 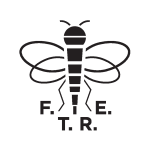 I applied for Membership of the club so I could buy a ticket. However, I was refused due to my Watford address. So I reapplied with my sister’s Bletchley address and I was officially a member of Luton Town football club. When we scored I recall half the main stand jumping up and I don’t remember any problems at that fixture.